In December, Pantone announced its colour for the year ahead and surprised everyone with its choice of two colours designed to work in harmony with each other. Rose Quartz and Serenity are soft, soothing shades of pink and blue that will perfectly counteract hectic modern life. The choice is a marked contrast with 2015’s Colour of the Year earthy Marsala. Rose Quartz and Serenity are light, baby blush colours that can effortlessly create a sanctuary of calm in any room. The versatility of the pastels is what is most surprising. They give an all-white or neutral-grey scheme a subtle colour boost or can be used to lighten darker tones such as brown, navy or plum for a high drama effect. They are equally comfortable when used together in retro, geometric patterns accented by a colour such as black, there’s not a hint of sugared almonds here. Design Director Mansi Mehra is keen to start incorporating the colours into spring interior schemes. “For me, the two colours used together is the epitome of calmness. This is especially symbolic in these times of stress. Like candy floss clouds in a clear blue sky, the colours counterbalance the complexities of modern living. Although they may seem like two ends of a spectrum, the coming together of warm and cool tones creates a fluid interplay that can be used to create a contemporary look. 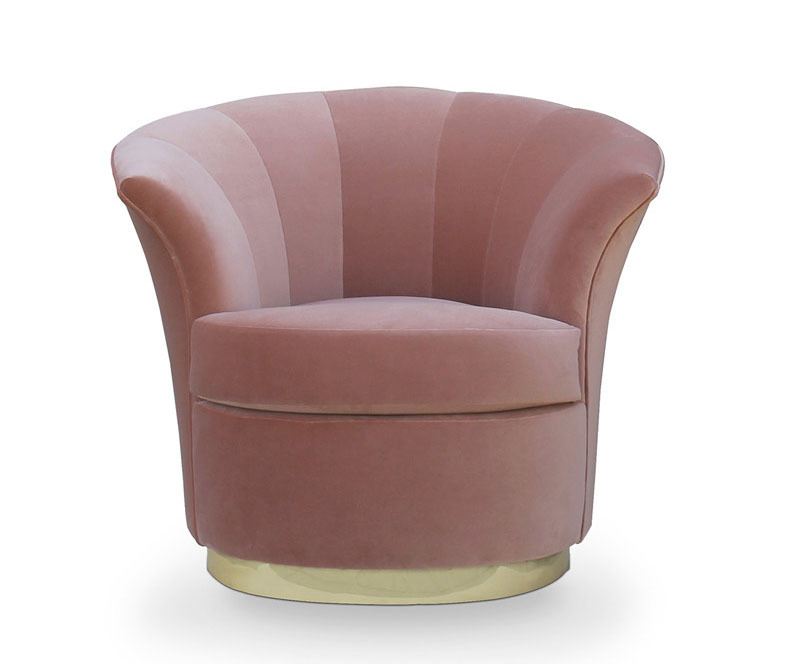 The plump, shell-like upholstery of Koket’s Besame chair would look equally inviting in a living room as a bedroom. 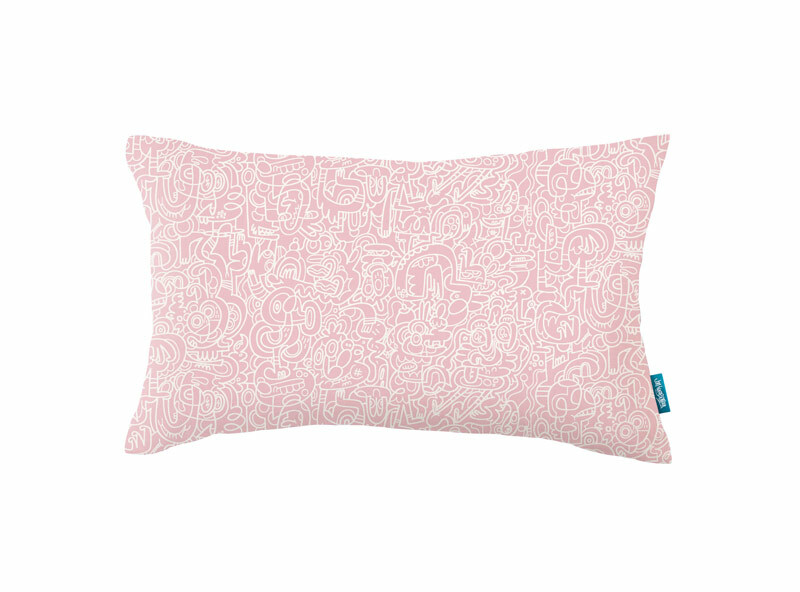 Kirby Design’s Spaghetti Yeti Cushion Candy’s quirky design shows how contemporary and fun this colour trend can be. Designers Guild has fallen head over heels for Rose Quartz. 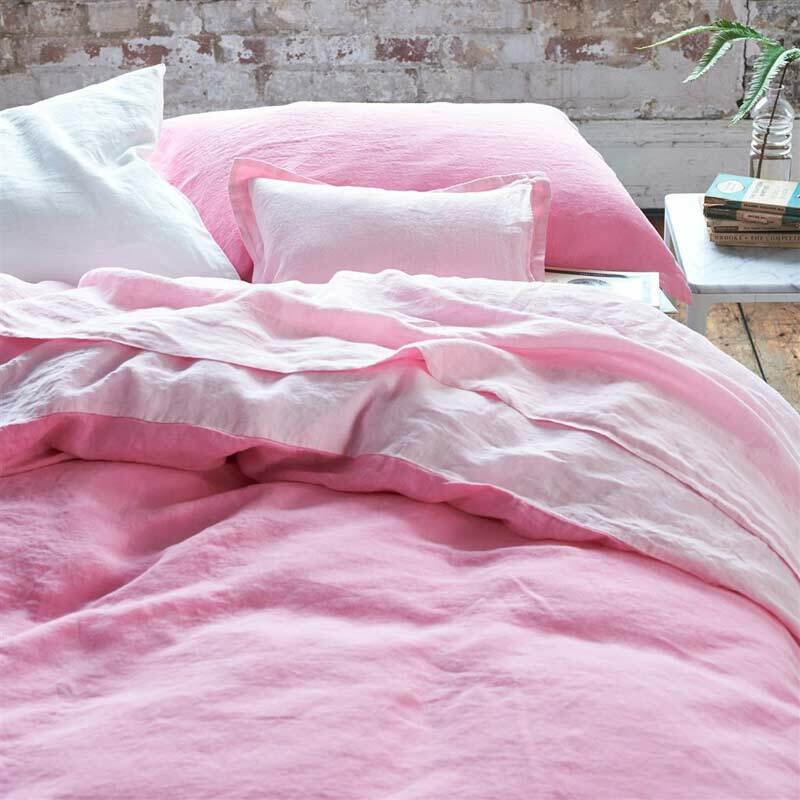 Its Biella Blossom reversible bed linen will envelope you in soft pink folds. Avoid the colour dominating the room by pairing it with darker shades. 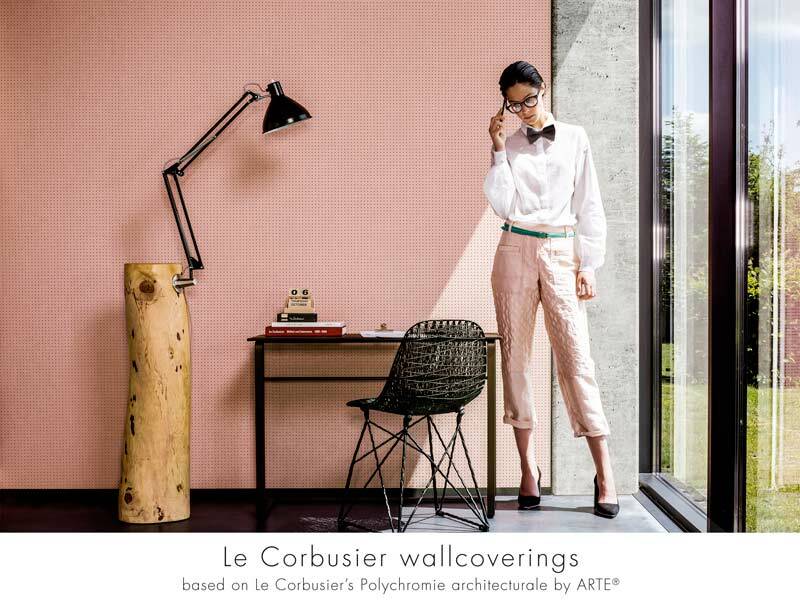 Arte has paid the ultimate tribute to Modernist designer Le Corbusier with its dotty wall coverings. Embracing the colour trend, this geometric print is anything but pretty and sweet. Metallics bring out the rich tones of Rose Quartz and this alarm clock from Design Wharf is no exception. 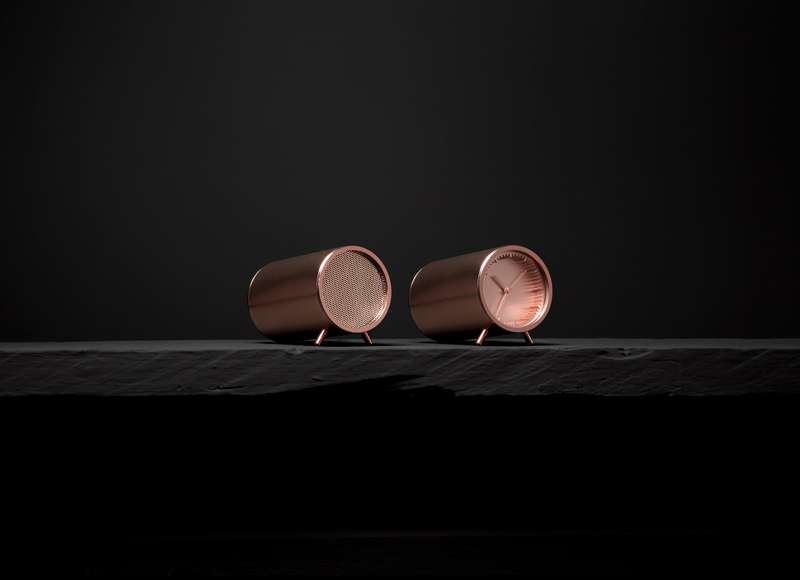 The Leff Amsterdam Piet Hein Eek Tube Clock in copper adds a wonderfully warm accent to the scheme especially if paired with plums and deep reds. 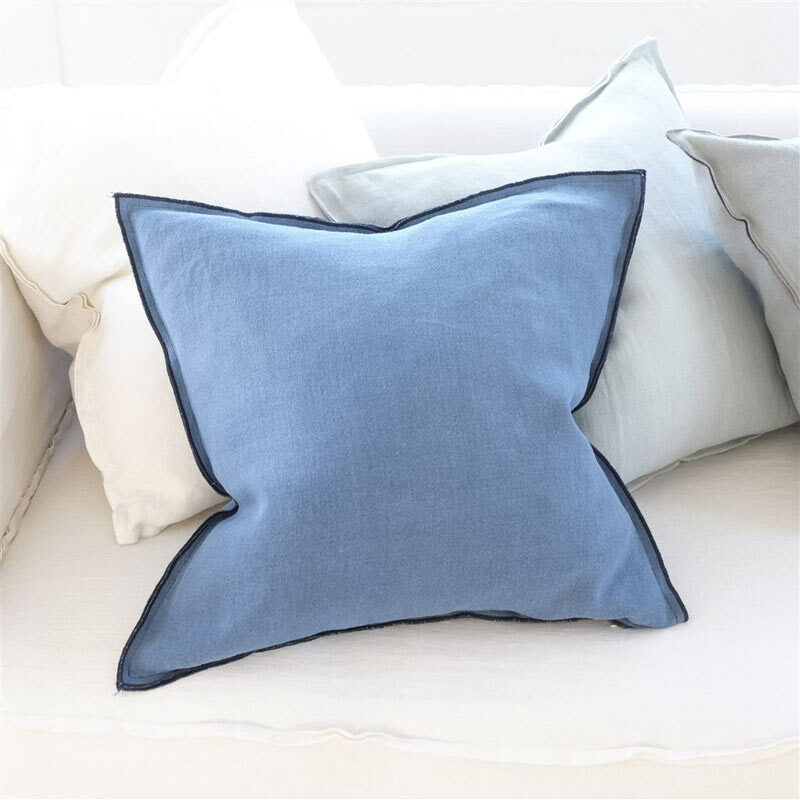 Designers Guild has done it again with its plush linen cushion in cerulean blue. The Brera Lino Stitched Trim is perfect for mix and match with other colours to breathe life into an all-white or white and grey schemes. 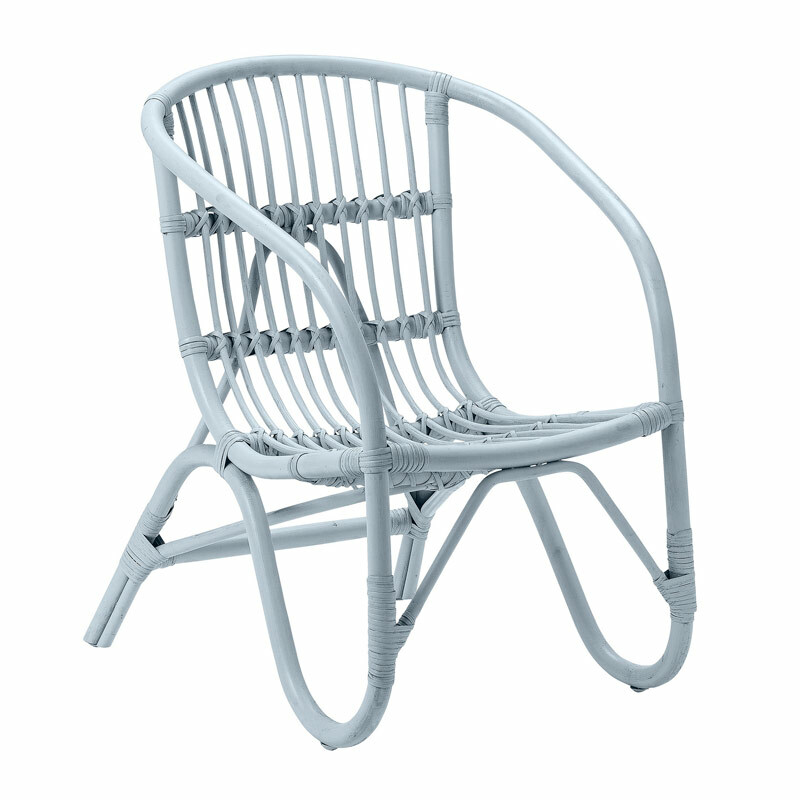 The sky blue, Bloomingville Pepper rattan chair from Amara looks effortlessly stylish in the summer sunshine, especially when paired with scatter cushions. The temptation is to use white and grey tones but fawn, green or plums will help bring out the beauty of the blue. 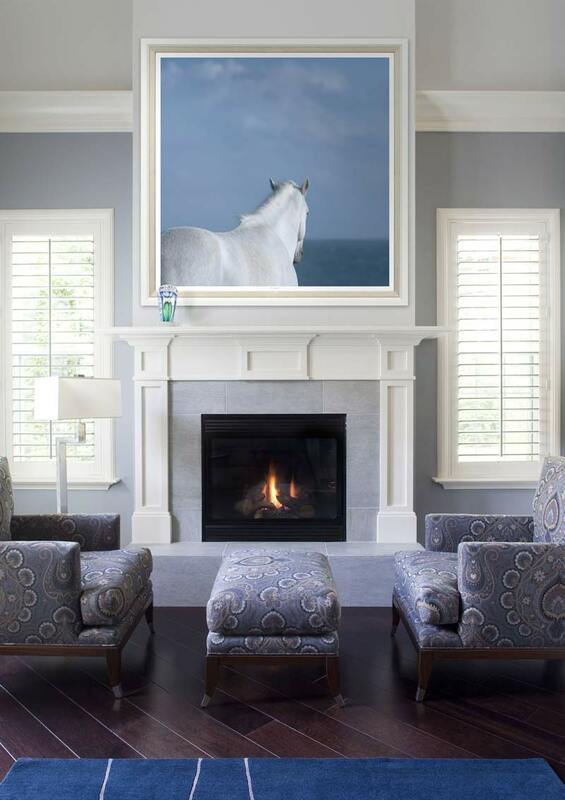 A clever way to introduce Serenity into your décor is through artwork. Trowbridge Gallery’s The Lookout subtly brings the soothing tones without dominating or looking cold. 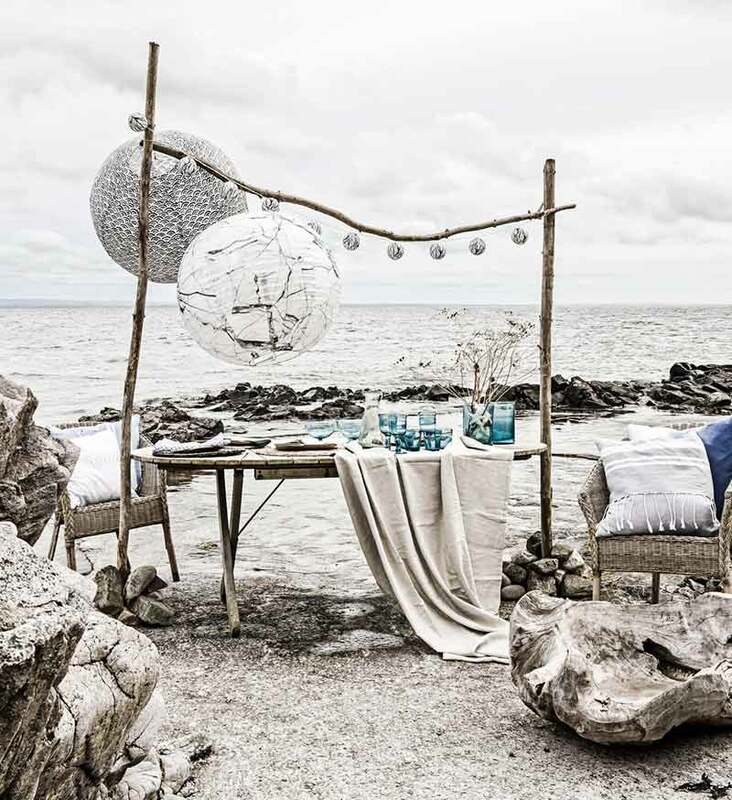 Swedish design brand Eight Mood has created Il Mare, a collection of products that evoke a sense of the sea, capturing the natural colours of beige, grey and, of course, blue. The trend is laid back and beautifully showcases how Serenity can be the jewel in the crown of a harmonious colour palatte. Finally, this colour trend doesn’t have to be grown-up and serious, it can be fun too. 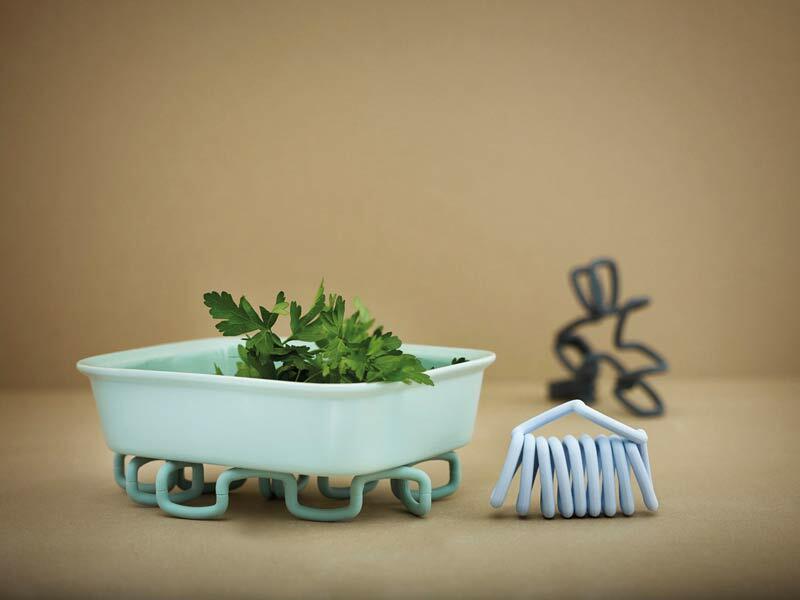 Try kitchen accessories in Serenity for a touch of 1950s kitsch. Rig Tig’s Zig Zag heat mat is irresitable. The colours could be initially off-putting, more associated with infant’s bedrooms than sophisticated schemes, but an experienced design team knows that it’s how they are interpreted, what accent colours are used and what design details are showcased that really matters. As Mansi noted, the key is not to overdo it. Hopefully, with the team’s choices above, you will have found plenty of inspiration for bringing Rose Quartz and Serenity to your décor. If however, you don’t feel confident enough to incorporate these on your own then get in touch with the team who will be happy to help.